Princess Cruises has celebrated Royal Princess first birthday yesterday (June 13th 2014). The ship was christened in Southampton, UK by her Royal Highness The Duchess of Cambridge. To celebrate this milestone the cruise line put on a special event onboard the 142,714 ton ship. Guests enjoyed a “Royal Ball Birthday Party” which was a perfect fit inline with the ships royal launch last year. There was a specially made birthday cake along with birthday sing-a-long and a balloon drop in the main atrium. 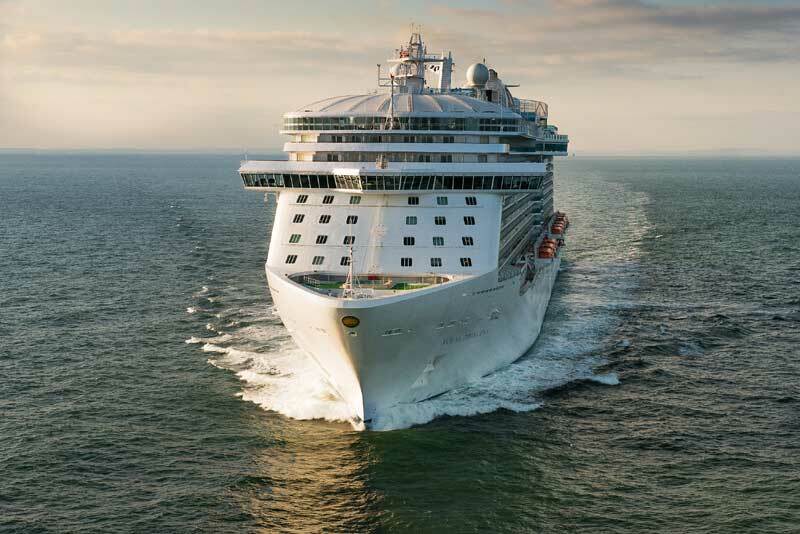 In the past 12 months Royal Princess has sailed 120,000 miles and carried 150,000 passengers. The ship has proved to be a popular choice for cruisers and the innovative SeaWalk has helped with that. The SeaWalk is a glass bottomed walkway which extends 28 feet from the side of the ship. Royal Princess was a new class for Princess Cruises and just recently its sister ship Regal Princess was launched last month. Royal Princess will be cruising Scandinavia and Russia, and Iceland and British Isles before repositioning to New York for its first Canada and New England season this fall.